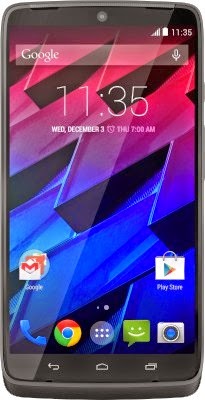 Motorola has stunned the world with its new Moto Turbo device, it is something extraordinary, and the company has elevated the competition bar to a whole new level, and now a hot topic of discussion is, whether Motorola has overtaken the supremacy of the smartphone world from Google Nexus 6. Let us compare the two phones and pick out the more supreme out of the supreme. Motorola Moto Turbo is an exceptionally stylish phone, and the level of sophistication blends in with the high-profile business crowd. The exterior construction flow is flawless, and is garnished with a radiating shine and built with a robust ballistic nylon layer commonly used in bulletproof vests. There is a nano coating, that is repellent to water and it is also resistant to spills. An important point to note is the devise is not completely water proof, it can withstand about 20 minutes of water after which, there are chances of it getting spoilt. The Nexus 6 is among the best looking phones in the market, on the front is a trendy curved glass and the rear cover is built with a robust plastic that has a soft touch, and according to reports, it is a superior make from the earlier Android devices with plastic layer. The prime selling design feature is the huge Nexus logo on the rear garnished with pristine silver. The built quality of the phone is phenomenal, and it is packed with magnificent style, and sources say it is a welcome change from Nexus 5. 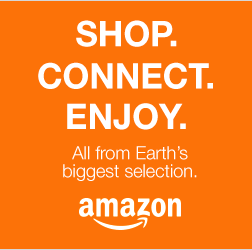 It is a great piece to own for those who are fascinated with large screen phones. Moto Turbo is engineered with a rich 5.2 inch display and the screen is built with a potent Gorilla Glass technology and the resolution capacity is 2,560x1,440 pixels. Users can explore an unimaginable blend of vivid colours and the viewing angles are great as well. Nexus 6 is built with an Amoled screen, and it is the mystery behind the phenomenal colour technology. The colour co-ordination is great, and to further emphasize on it, a simple red colour portrays the intensity of a darker shade, the gold and yellow shades have a darker concentration power as well. The 5.96 inch screen is built with a resolution power of 1440x2560 pixels. The viewing angles are splendid. 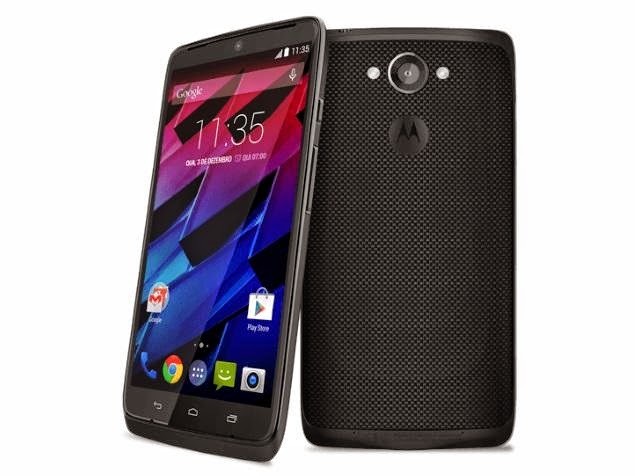 Moto Turbo is built with Android 4.4.4 KitKat software, and it can be upgraded to Android 5.0 Lollipop. The robust software supports a series of apps like Motor Alert, Moto Assist and Moto Migrate and also voice services. The Migrate apps enable users to transfer contacts to the phone from previously used iOS and Android systems. The phone has an efficient software system and consumers can enjoy a multitude of apps, and also engage in splendid gaming moments. 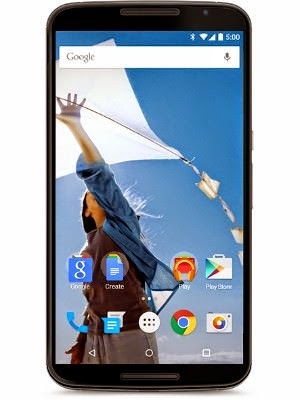 Nexus 6 is engineered with Android 5.0 operating system, and here too there are many apps, redesigned by Google. The performance is first-rate and it is one of the swiftest performers in the market. Users can explore series of apps and also explore some amazing games. Motorola Turbo is a supreme performer, and is engineered with a pioneering 2.7GHz Snapdragon 805 quad-core processor with 3GB RAM. The internal memory power can expand to 64GB. Motorola provides the needed high-level convenience with Moto Turbo, the movement between apps is swift and there is minimal room for lag. Nexus 6 is installed with 2.7GHz quad-core Qualcomm Snapdragon processor with Adreno 430 graphics. It has 3GB RAM, and 32GB interior storage, and users who have tested the phone were marvelled by the performance, in terms of crispness and call quality. The phone has two speakers on bottom and top. According to reports, it is one of the best devices to venture into a fantastic gaming world. Motorola Turbo is engineered with an efficient 21MP camera with dual LED flash, and the video capturing output is 4k. It is ideal for ardent photography and filming enthusiasts, and users can store hundreds of camera apps and even design collages. Some of the intriguing camera apps are Highlights and Quick Capture, and there is also a wrist flick gesture app that launches camera from lock screen. The capturing power of Turbo is phenomenal and it will transform consumers into an unexplored world of stunning photography. It is great to shoot away breathtaking scenery, landslides and architecture. Nexus 6 has a 13MP rear camera, with ring flash that enables superb image quality even under low-light conditions, contributed by optical image stabilisation app. Under intense light circumstances, the camera functions marvellously, and image detailing is clearly visible. The colour output is mind blowing, particularly on HDR mode, there is so much quality and contrast and there is little room for dullness and over-brightness. Even under dim light scenario, the 13MP camera in Nexus 6 captures admirable images. Motorola Turbo functions on a highly efficient 3,900 mAh battery, and it is extraordinary indeed, and the charge process is swift, in just 15 minutes of charging, and charge infused is equivalent to six hours of charging. It comes as no surprise that Motorola Turbo has the most efficient battery power in the smartphone world. Nexus 6 functions on 3,220 mAh charge, and the battery power is highly impressive, and convenient. With just an hour of charge, consumers can make the best use of the phone and indulge in social networking, long calls, gaming and extensive browsing. The phone is equipped with a swift charging system, in just 15 minutes; the charge capacity is 20%. The two phones have equally attractive designs, Nexus 6 has a bigger display screen, and both phones are built with 1440x2560 pixels resolution. The software potential of Nexus 6 is superior and operates on Android 5.0 operating system and Motorola Turbo is engineered with Android 4.4.4 KitKat. 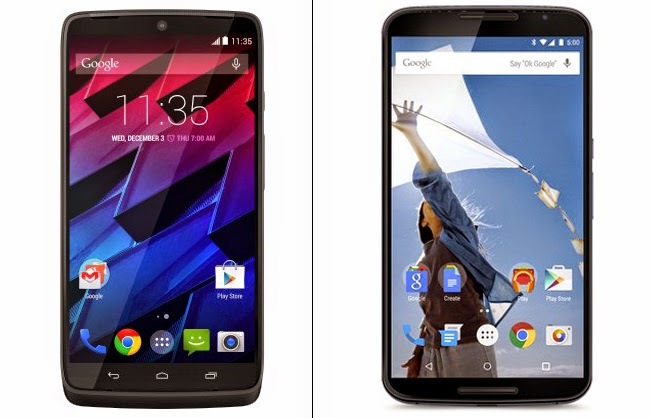 Motorola Moto Turbo has a more efficient camera, a 21MP shooter and Nexus 6 has 13MP rear camera. Maxx has greater battery power of an unbeatable 3,900 mAh against 3,220 mAh on Nexus 6.